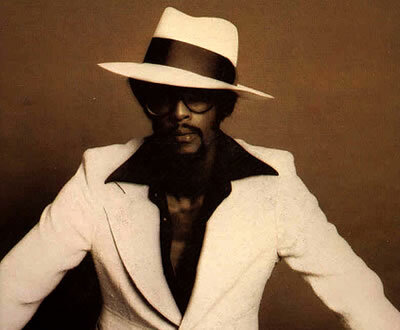 David Ruffin was never a team player. As one of the original Temptations, and the voice behind hits like "My Girl," "Ain't Too Proud To Beg" and "I Wish It Would Rain," he was a rebel in the close-knit Motown family. He wanted his own limo and more money. He wanted billing as David Ruffin & the Temptations. And he wanted creative freedom. As choreographer--and creator of the "Temptation Walk"--Cholly Atkins once said, "The Tempts were all good singers and good dancers. But their choreography was all about conforming to a routine. David could do it--he could move with the best of them--but he wasn't built to conform to anything. He resisted discipline like a cat resists water." In 1969, after much fighting with the group, Ruffin got his wish, making his solo debut with "My Whole World Ended (The Moment You Left Me)." The brooding single, with its magnificently raw vocal, also carried an ominous irony. After going Top 10 with the song, Ruffin would struggle for years while his former group scaled the charts with classics such as "Papa Was A Rolling Stone," "Ball of Confusion" and "Just My Imagination." This limited edition 2-disc collection documents that struggle. The promising first album, My Whole World Ended, with standout tracks like "I've Lost Everything I Love," "The Double Cross" and "Pieces Of A Man" (more irony in those titles) seemed to ensure stardom. But the follow-up Feelin' Good, despite Ruffin's electric performances on "One More Hurt" and "The Letter," felt like a retread, with sub-par material and overwrought arrangements. Part of Ruffin's problem was musical typecasting. He was always at his best in tragic love scenarios. Cast as the brokenhearted loser, he turned every song into a personal story, pleading and testifying with abandon. In the context of the Temptations, where each singer brought distinct vocal moods and textures to the mix, Ruffin's voice felt more powerful than it did when he was solo. Another problem: unlike fellow Motown rebels Marvin Gaye and Stevie Wonder, Ruffin did not write his own songs. Consequently, he was at the mercy of the Hitsville staffers, who loaded his third album with more B-minus material. It wasn't until Me 'N' Rock ‘N' Roll Are Here To Stay, when Ruffin teamed with producer Norman Whitfield, that he started to sound invigorated. Whitfield's kitchen-sink approach on the title track and "I Just Want To Celebrate" (both songs were bigger hits for other artists) brought out a joyful swagger in Ruffin that balanced his usual romantic gloom. Ruffin's biggest solo hit, the rapturous Van McCoy-produced "Walk Away From Love," would come a year later. After that high point came more struggle, drug problems and eventually an untimely, tragic end in 1991.